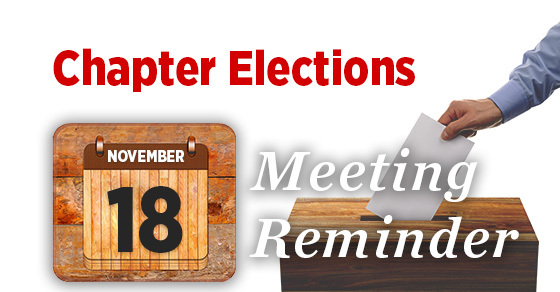 Saturday, November 18th is our Chapter Elections Meeting, at the usual place and time. Also, please remember we have two other events in December on the 16th. The Wreaths Across America Ceremony, and the Public Service Awards Brunch.